Veteran Liberian musician James Coco Chea, Head of Harmonizers Entertainment Group Inc. The United Nations Mission In Liberia or UNMIL has since left Liberia, but consolidating the peace here rests on the shoulders of all well-meaning Liberians. 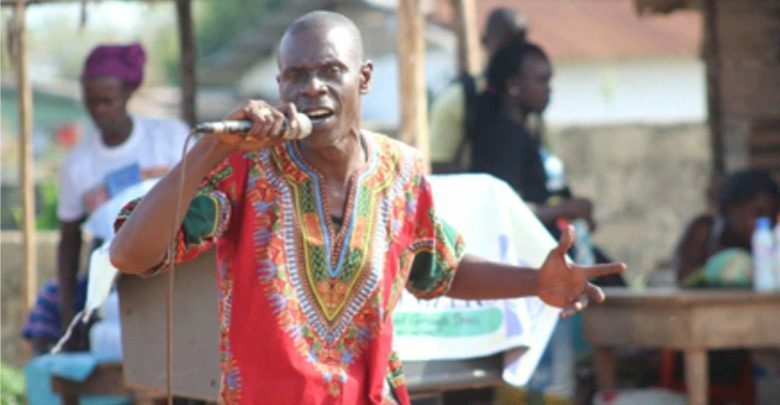 It is against this backdrop that a veteran Liberian musician James Coco Chea, and other local artists embark on community for peace and security campaign thru music, to consciencetize residents about the need to maintain peace and security. Mr. Chea, brain behind the advocacy, says he decided to undertake the exercise to remind fellow Liberians about the collective responsibility to maintaining peace and security fought for by the regional body ECOWAS, in collaboration with UNMIL. He says they intend to take peace and security messages to every community in Montserrado County, especially, at the time when mob violence and lawlessness are reawakened in some communities, leading to loss of innocent lives. The veteran Liberian musician notes that to ensure everyone gets the message, his group has chosen Saturdays and Sundays to visit communities. More than 800,000 Liberians died and hundreds of thousands others became refugees and internally displaced during the country’s civil wars which started on 24 December 1989 and ended in September 2003. Coco warns young people, who are considered most vulnerable to be mindful by not allowing evil-minded individuals to mislead them to violence. He says young people should expose such people, who have nothing positive to contribute to the development of the country. He calls on well meaning Liberians interested in peace and security to contribute in whatever ways they can to the current campaign. He adds the 30 March concert held at the S. K. D. Complex in Paynesville outside Monrovia was a prelude, as the actual campaign is expected to take off in Rehab Community on 6 April where residents are urged to come out and join the exercise.